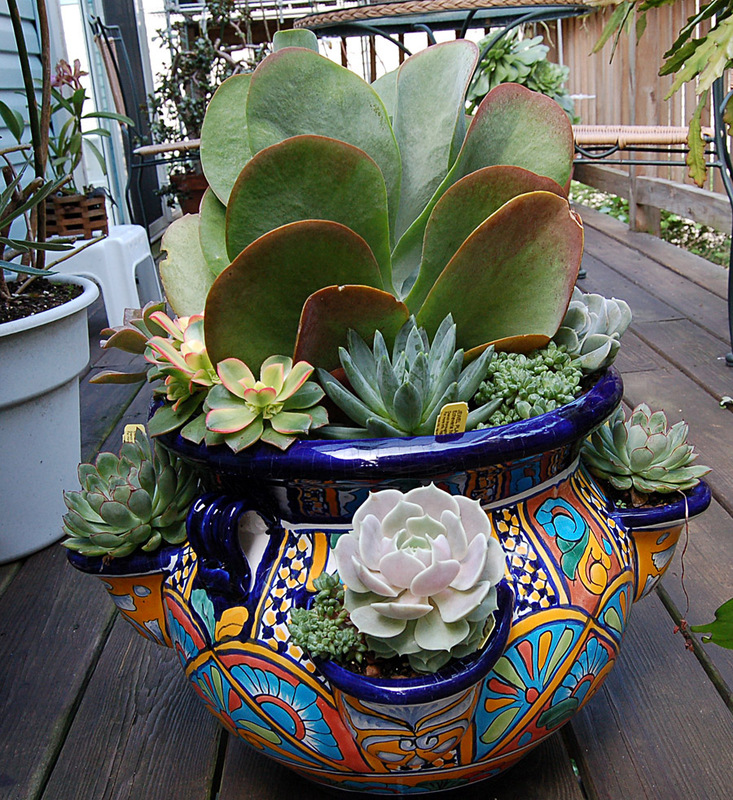 I had planted this Spring a nice Talavera- Strawberry pot with various Succulents and picked this Kalanchoe as a focal point for the center. The planter did well over the Summer and I enjoyed it a lot. In October it became time to bring the planter inside. 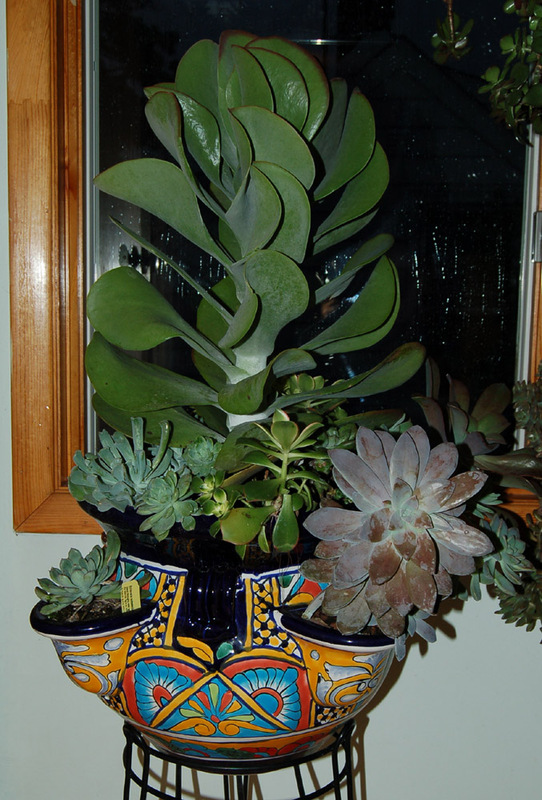 I noticed the Kalanchoe really growing upwards and I thought it might be ready to spike. I had never seen one in flower, so I was hoping I could keep it going inside. I placed it into the sunroom ( No room in the greenhouse, the pot is large.) in front of the East window under an additional grow light. 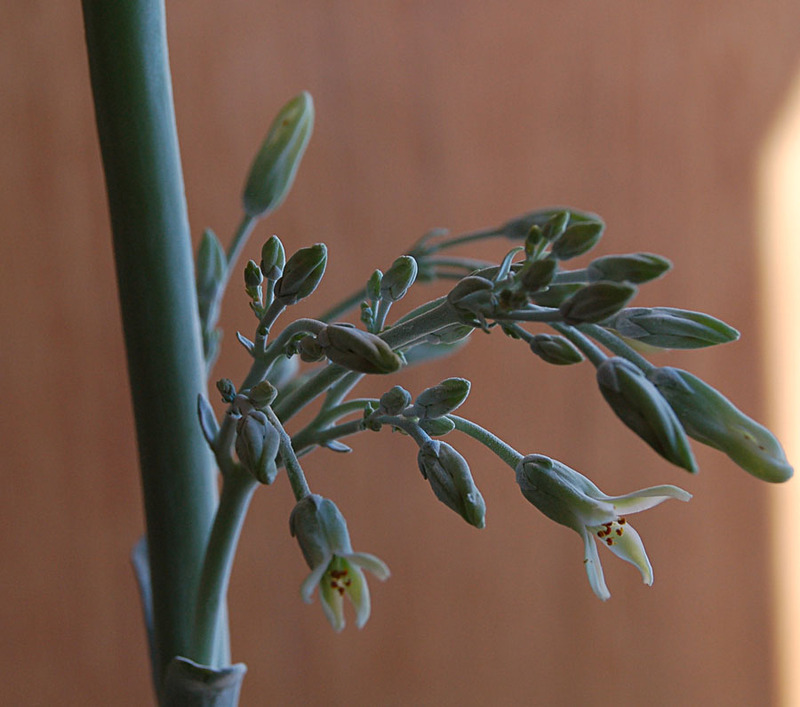 As I am typing this, the stalk measures about 6 foot and it is flowering!! I learned that the plant will die once it flowers, but I noticed a lot of small offsets along the lower part of the spike. 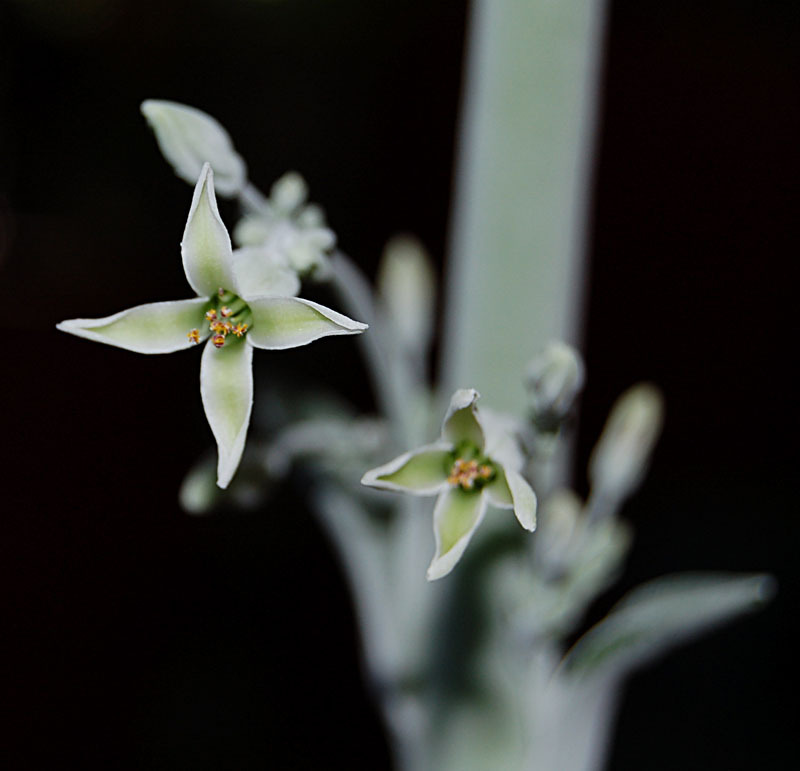 The flowers are mainly white with just a haze of yellow.